The competition for KPMG's Best British Mobile Startup 2017 was fierce and involved companies at all stages of the growth cycle from pre-revenue to those turning over millions of pounds. Calls9 Knowledge Plus was shortlisted because of its ease of use when it comes to sharing knowledge and driving internal communication. The product is highly disruptive and is taking on established players such as Microsoft SharePoint in the business communication and productivity space. The product has gone through exponential growth over the last 12 months and we're confident this will continue in 2017. We've got some exciting product announcements coming up so stay tuned to our website and newsletter for more information. 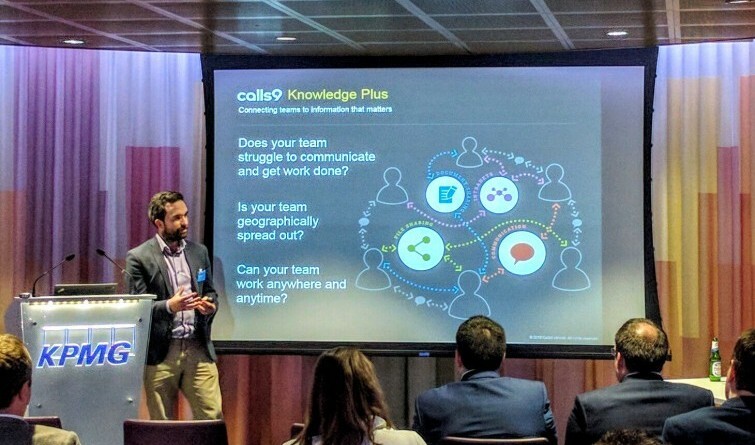 Calls9 Knowledge Plus is the simple way to share knowledge, improve internal communication and connect your team. Find out more.